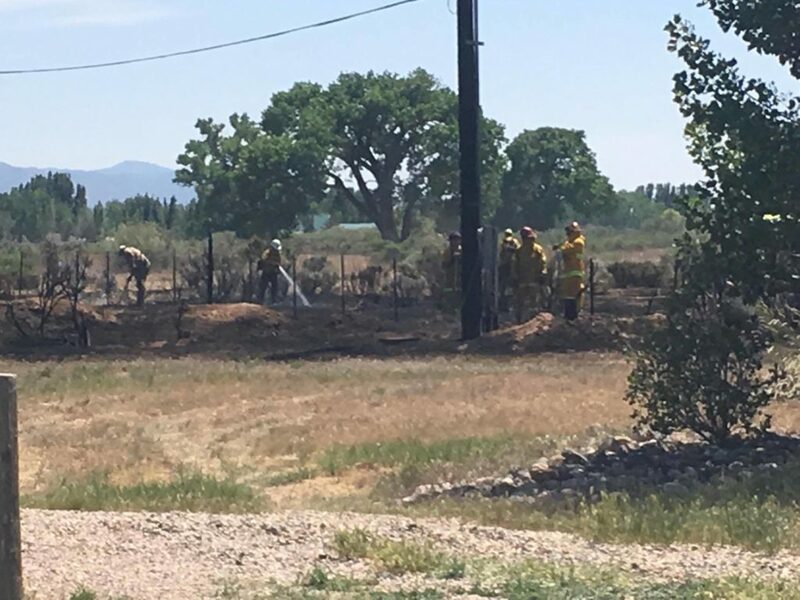 ENOCH – A wildfire burned within 20 feet of one Enoch home and threatened several others Sunday afternoon. 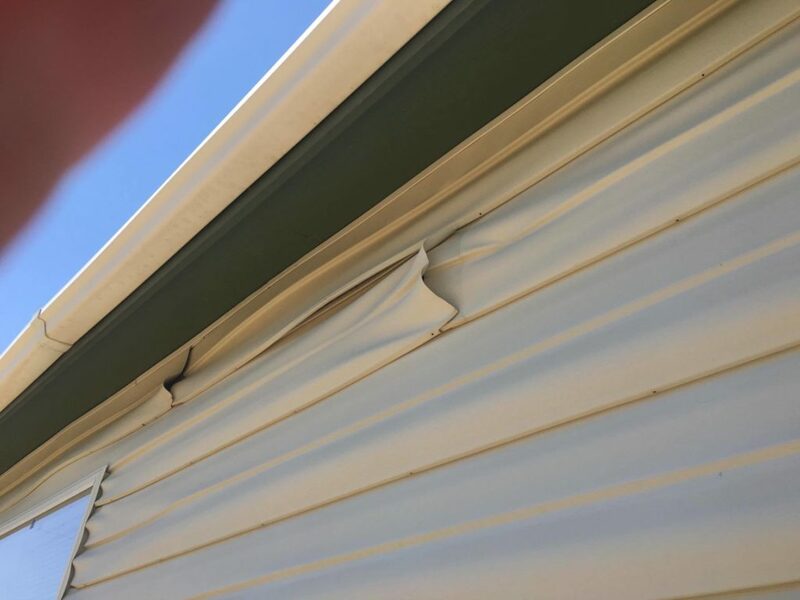 The fire melted siding on one home, threatened power poles and destroyed power lines. 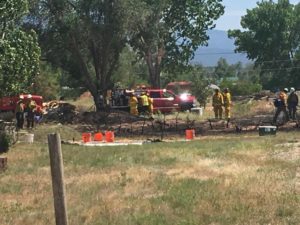 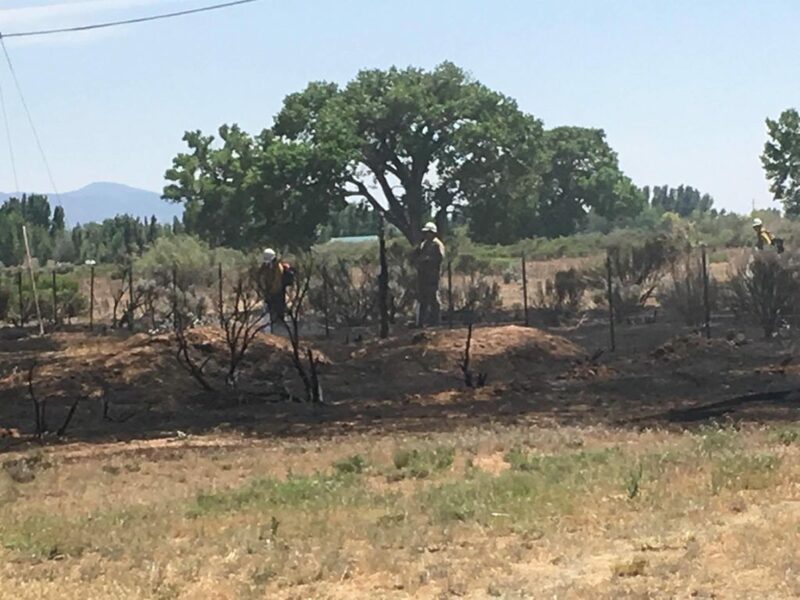 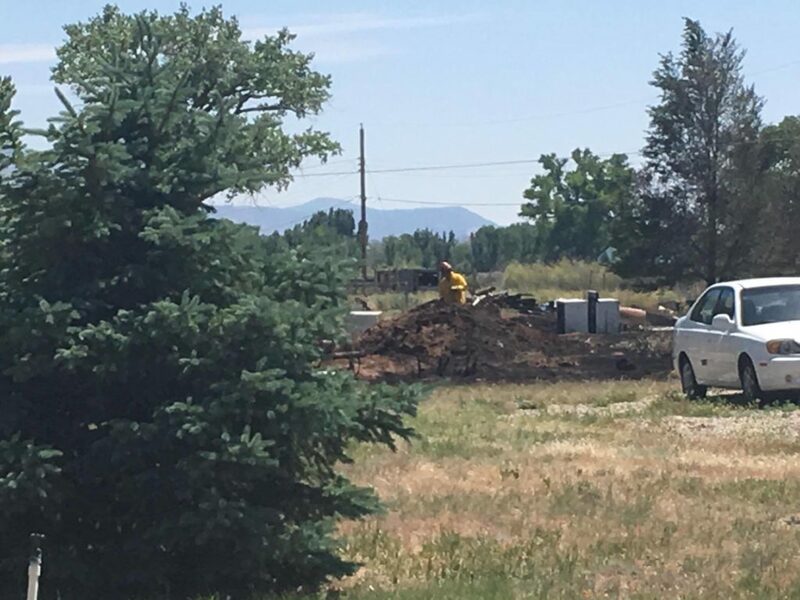 The fire was called in at around 2 p.m. and was burning in grass and sagebrush on private property near North Driftwood Lane and Spanish Trail Drive, Cedar City Fire Chief Mike Phillips said. 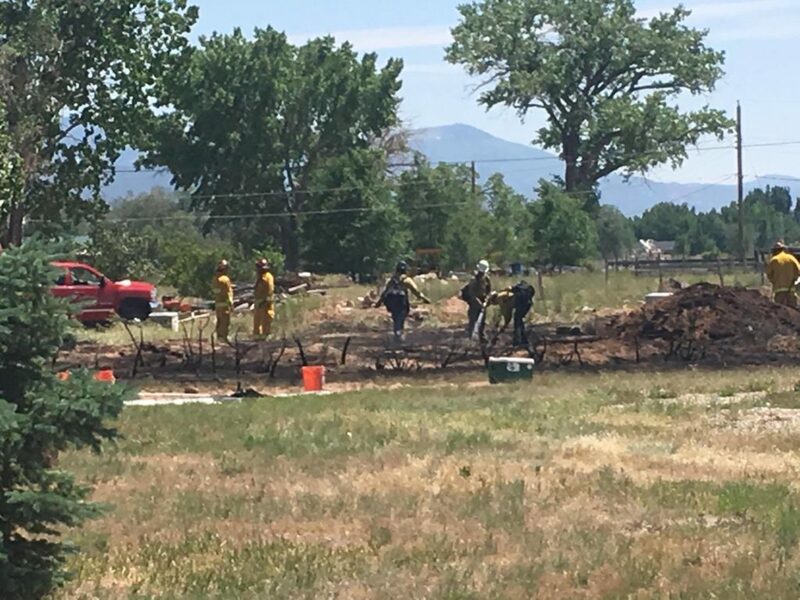 One outbuilding was burned in the fire, and four homes were threatened. 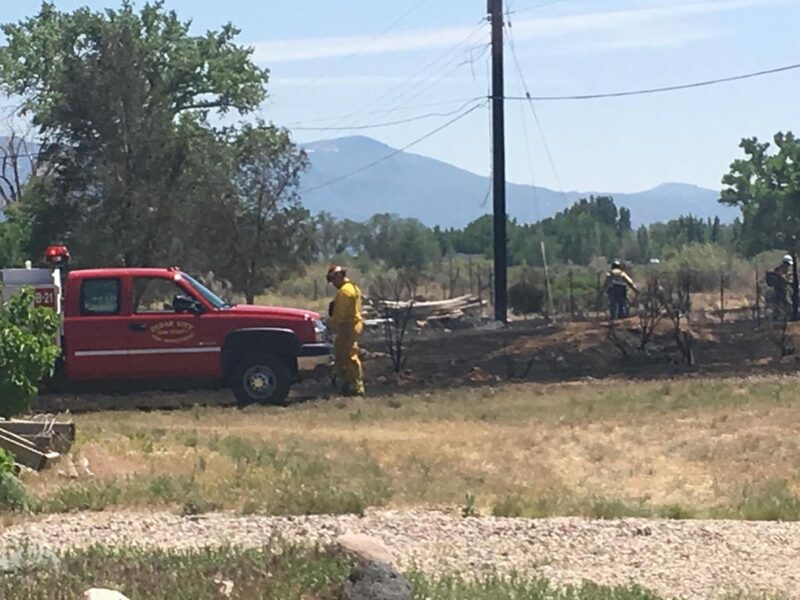 The fire burned power lines and knocked out electricity to two homes, Phillips said. 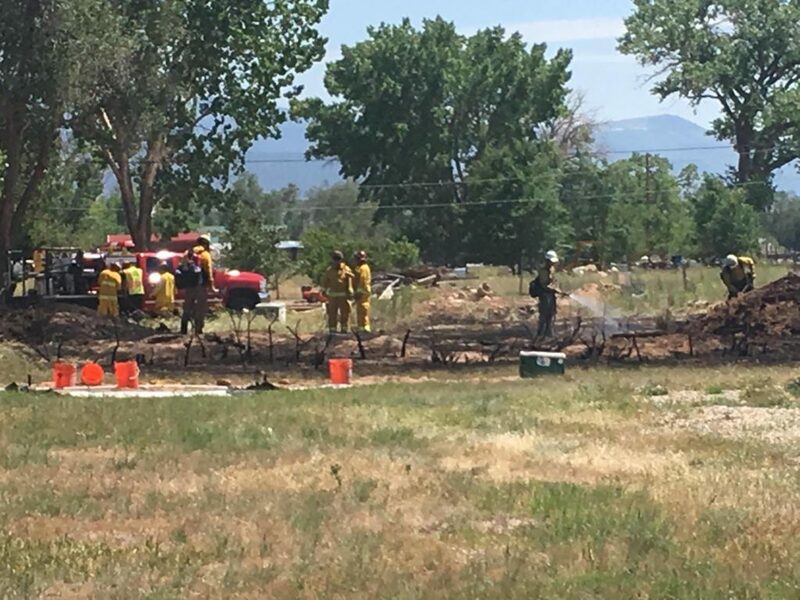 Firefighters responded quickly to the blaze and got it under control before 3 p.m., although crews expected to be doing mop-up work for another two hours. 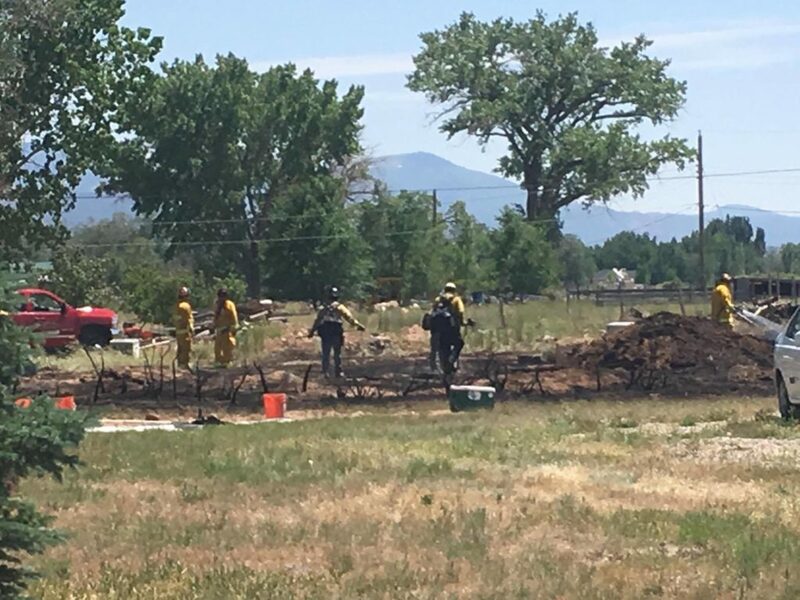 About 40 emergency responders helped put out the fire, Phillips said, which burned about 1.5 acres. 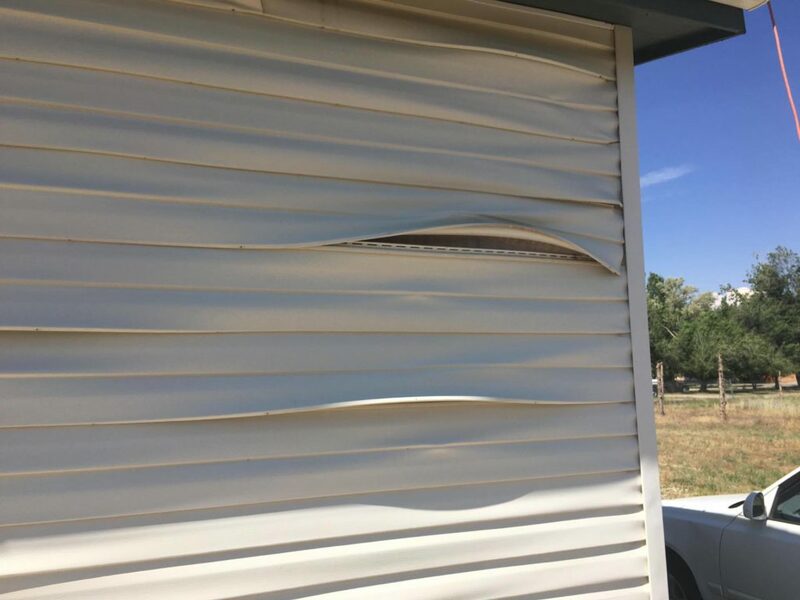 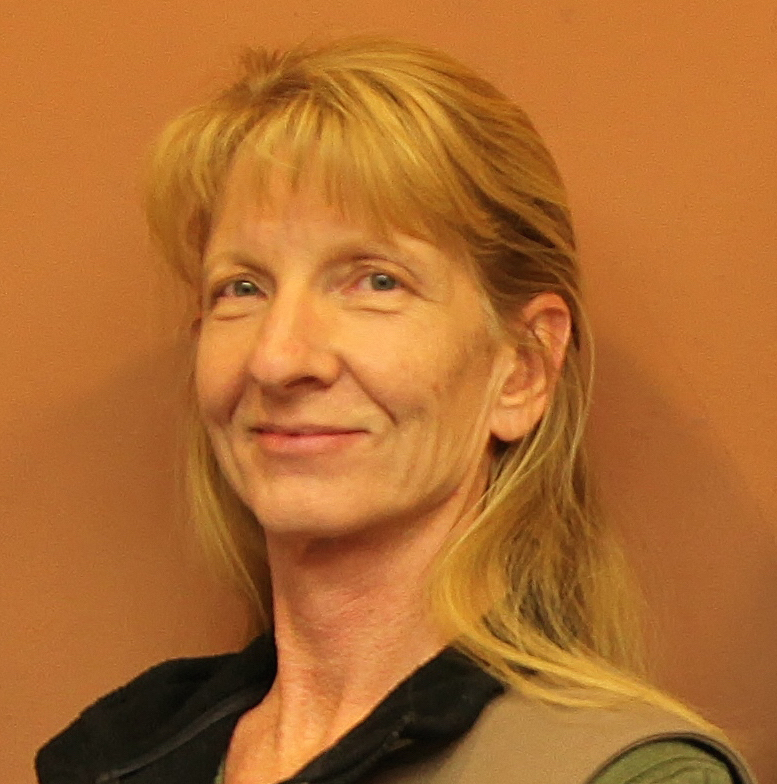 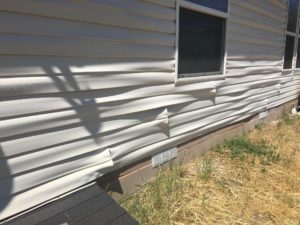 Personnel from the Bureau of Land Management, U.S. Forest Service, Cedar City Fire Department, Iron County Sheriff’s Office, Enoch Police Department and Gold Cross Ambulance responded to the incident.